Want to send a private message to a Facebook friend? This guide will show you how to do it. 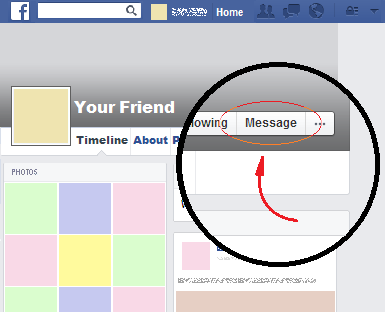 Once you have logged in to Facebook, go to the profile of the Facebook friend that you want to message. You can do this by looking for his name in the search box at the top of your page. Once you are on his profile, click on the “Message” button, which is near the lower right hand corner inside his big cover picture. This way you will be able to type a message and send it by pressing the Enter key of your keyboard. The person to whom you send the message will be notified of this by email or the next time he logs in to Facebook.